Urban infill is an emergent trend in planning and development circles describing the reuse or repositioning of obsolete or underutilized buildings and sites. While this dry definition applies to development activity in cities like Minneapolis, Minnesota, and Portland, Oregon, for Reno—where the discipline is still nascent—its practitioners hail it not only as a way of revitalizing areas suffering from industrial blight, but as a harbinger of coming transformation for the Biggest Little City. When the real estate bubble burst in the mid-2000s, the Reno-Sparks area was one of the worst hit in the nation, says Jack Hawkins, architect and principal of Hawkins & Associates Architecture and Interiors. Subsequently, young people fled the region in search of jobs, taking the demand for a burgeoning housing market with them. While most of the big development companies that flooded Northern Nevada during the boom hightailed out of town, Kelly Rae and her partner, Pamela Haberman, who together own HabeRae Homes, took advantage of the lag in new development to carve out a unique niche in Reno’s housing landscape. Rae is an urban developer on the vanguard of urban infill as practiced in Reno, but she is quick to point out she’s not exactly reinventing the wheel. “It’s happening everywhere, you just have to get out of your zone,” Rae says. 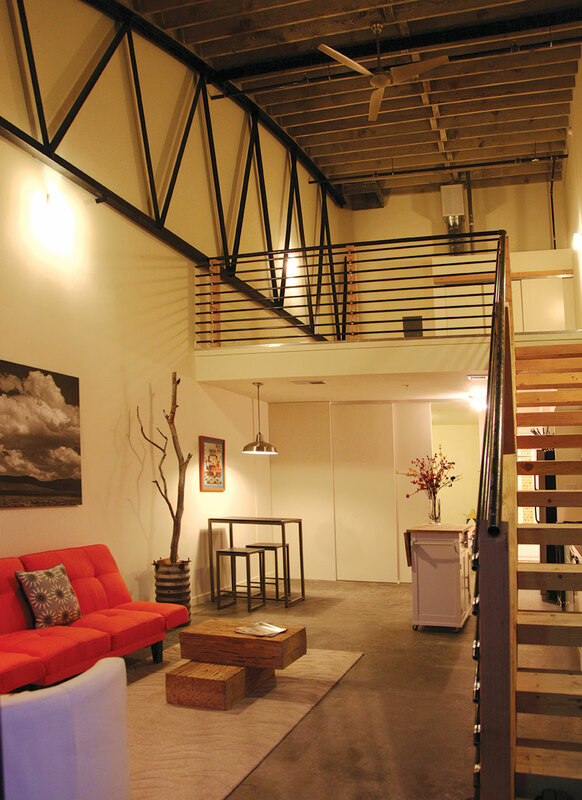 While traveling with Haberman in Minneapolis in the mid-2000s, the couple came upon an urban loft project that sparked their imagination. “It looked kind of cool and we just thought, why don’t we do something like that in Reno,” Rae says. The partners concentrated their efforts on a defunct pizza parlor in the heart of old Southeast Reno, an area home to vagrants, squatters and vandals. With help from Ken and Darin Murphy, who own and run Murphy Built Construction, Inc., the partners transformed the dilapidated building into an award-winning residential center focusing on natural light, ample space, flexibility between work and living areas and contemporary design. 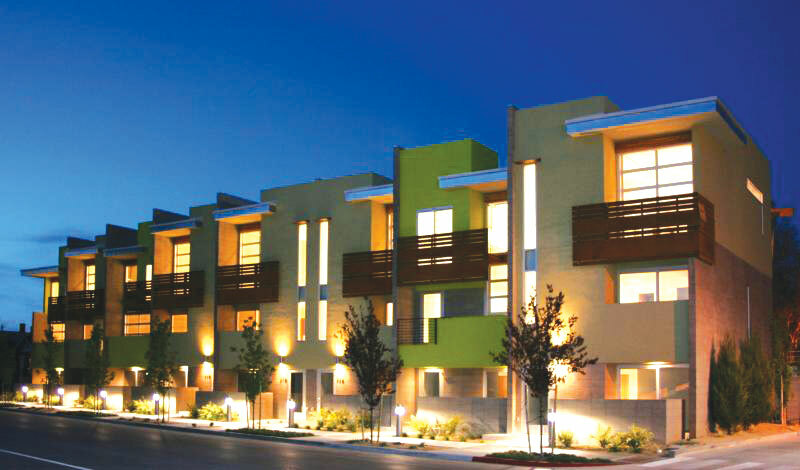 “8 on Center was the catalyst for the whole redevelopment movement in Reno,” Rae says. 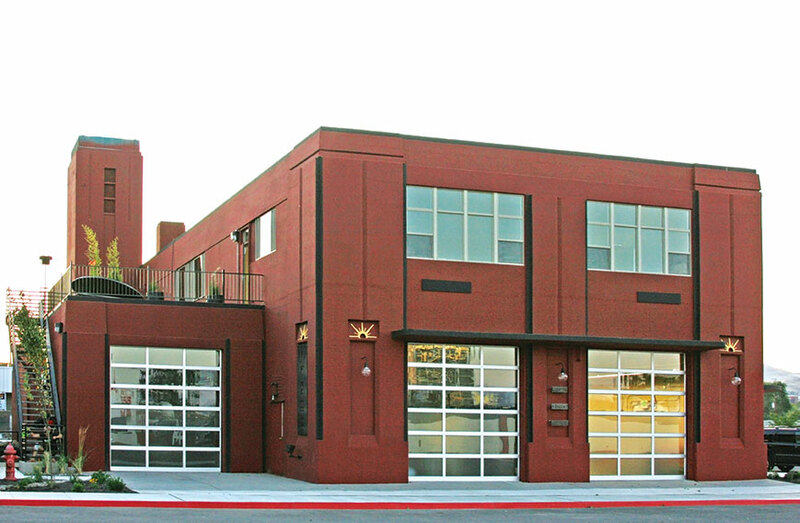 Since then, HabeRae and the Murphys collaborated to perform other similar redevelopment projects, one to an old firehouse located at the intersection of Fifth Street and Morrill Avenue, originally built in 1953. 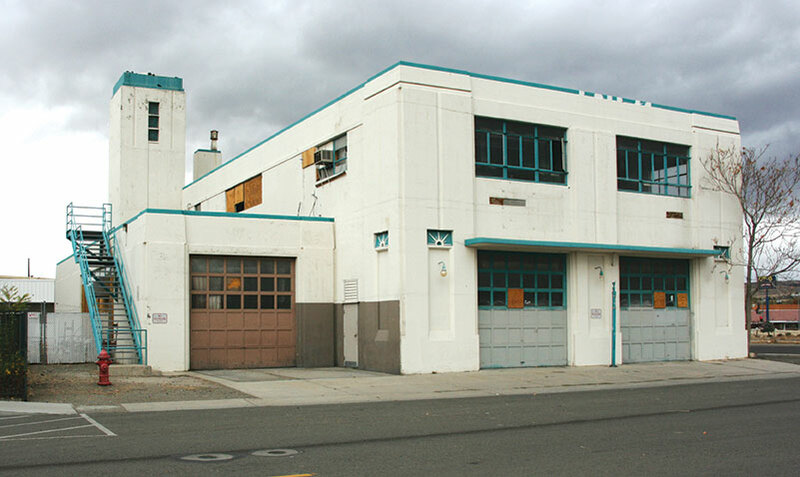 After the City of Reno moved its facilities from the location, the building fell into disrepair, functioning briefly as a makeshift homeless shelter, until the group collaborated to transform it. “It feels good to take a building that had broken windows, graffiti and was boarded up, change it, and then see the whole neighborhood revitalize,” Ken Murphy says. The 11 @ The Firehouse, as it is called, features 5,000 square feet of commercial space on the bottom floor and nine residential lofts filling the rest of the building. Two residential units on the bottom utilize the old fire doors, which open up and create a flexible indoor/outdoor space. Rae points out a parcel adjacent to the firehouse that stood vacant for years recently sold to a new owner, who has plans to construct a modern apartment building. Much of the urban infill movement as practiced by the Murphy brothers and the team at HabeRae not only focuses on the big picture elements of transforming industrial blight into attractive living spaces, but also incorporating a fine attention to detail. One such example is their flagship project, Dozen @ the DeLuxe. 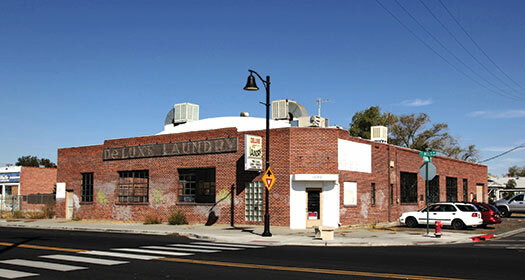 The DeLuxe Laundry was built in 1950 by the Kolbet family, who operated out of the space for the next 46 years. After going out of business, the family sold the building, which Rae says degenerated into a large eyesore, with weeds overtaking the property and graffiti taggers using the exterior as a tattered canvas. Rae and Haberman acquired the property in 2007, and about one month before the project was completed in November 2012, all of the commodious residential lofts were spoken for. 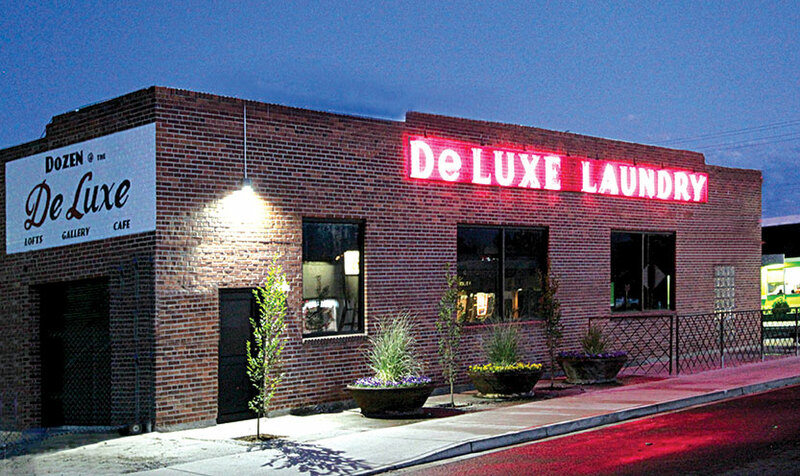 An art gallery is completed and the Cafe DeLuxe is scheduled to open in early March. While the scale of the project immediately stands out, Rae lingers over the details, such as recycling the steel found in the floors during construction and refashioning them to create diamond-plated steel backsplashes in the kitchen and bathrooms of the residential units. Likewise, the large vents previously installed on the building’s roof were dismantled and turned into large planters that adorn the outside space. There’s no question those involved in the redevelopment movement see Reno as positioned for a reawakening after the tumult of the previous half-decade. “I think we have seen the worst of it and I have seen business pick up in the last six months,” Hawkins says. Ken Murphy notes Apple’s much publicized plans to build a $1 billion data center east of Sparks as a sign that the metropolitan area is positioned to become an economic hub. Rae, who is no stranger to transformation, says she hopes what she has been able to achieve on a small scale will percolate into a macro level as she believes Reno’s historic ties to gaming and casinos need to be eschewed in favor of a new burgeoning economy. Rae, with the help of Hawkins and the Murphys, continues to dream big things for her hometown, but for the meantime, she is content to try and remake the city by changing industrial blight into alluring places to live, play and work—one project at a time. Matthew Renda is a Santa Cruz–based writer who enjoys spending time in the “new” Reno.